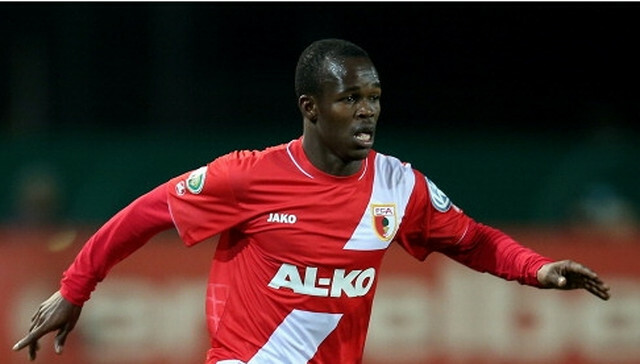 Belgian club KV Oostende have showered Zimbabwe international forward Knowledge Musona with praises, describing the Smiling Assassin as the most consistent and impressive player at the team this season after the Warriors’ talismanic striker’s impressive start to the domestic campaign. The 26-year-old forward was rewarded with an extension of his contract, which also comes with an improved package, which will see Musona remaining contracted to KV Oostende until 2020. Mbokani, the former TP Mazembe forward, is now playing for English Premiership side Hull City. He was the highest paid player in the Belgian top-flight league in 2012, earning around US$40 000 a week, although earnings in the league have improved since then. Musona, who will be 29 by the time his current contract expires, was sick for the better part of last week and only returned to training on Saturday and he missed KV Oostende’s high-profile league away match against giants Anderlecht which ended in a 1-1 draw at the weekend. He has scored six times in 13 games this season and KV Oostende decided to tie their leading goal-scorer to an extended and improved deal which, should he not move elsewhere, means Musona will still be at the Belgian side by the time he turns 29. But, crucially, KV Oostende have been praising the Zimbabwean as the club’s most consistent player. “Our Smiling Assassin has so far, perhaps, been the most consistent KVO (KV Oostende) player of the season and the likeable Zimbabwean has now been rewarded with a contract extension,” the Belgian club said on their official website. It’s a massive vote of confidence in the forward and shows that Oostende are confident Musona will not be dragged into any trouble, including possible suspension, after the Zimbabwean forward was dragged into a gambling storm earlier this year. Oostende backed him and said they were confident the Belgian authorities were unlikely to punish him with a suspension since he had notified the club and was unaware his actions, in which he gambled on the outcome of matches which did not involve his club, were in contravention of rules and regulations governing the country’s football. Musona scored three goals for the Warriors as they ended a 10-year wait for an appearance at the Nations Cup finals as they comfortably won their group with a match to spare and finishing the qualifiers with a three-point lead with coach Callisto Pasuwa even being afforded the luxury of resting high-flying forward, Khama Billiat, from the last qualifier against Guinea in Conakry. The Warriors lost that match 0-1, the only loss during their 2017 Nations Cup qualifiers, with Musona coming close on a number of occasions to score. Given his challenges last week, in which he only returned to training on Saturday, it was not clear last night whether Pasuwa will draft Musona into his squad for the international friendly against Tanzania at the National Sports Stadium on Sunday. Pasuwa has been trying to manage his best players to ensure they will be in good shape when the Warriors plunge into their 2017 Nations Cup battles where they face Senegal, Algeria and Tunisia in Gabon. Already, the coach has once again rested Billiat from the tie against Tanzania arguing that the forward, who has played non-stop competitive football since August last year, badly needs rest. Billiat helped Mamelodi Sundowns win the CAF Champions League recently and is set to play for the Brazilians at the FIFA Club World Cup in Japan next month.